You are not logged in. 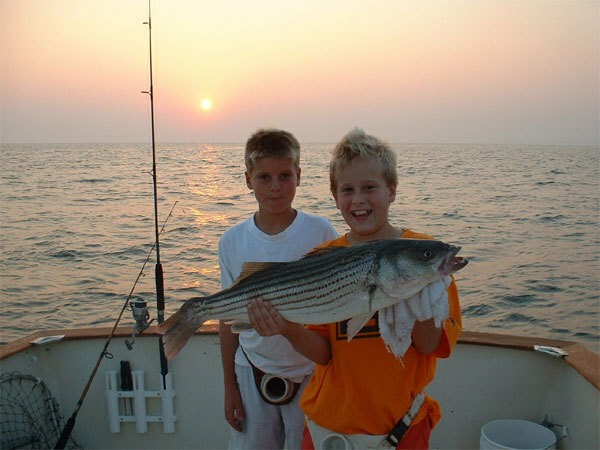 [Log In] ctfisherman.com » Forums » Website Discussion » Technical Help, Test Posts, Feedback, Computer talk, etc. 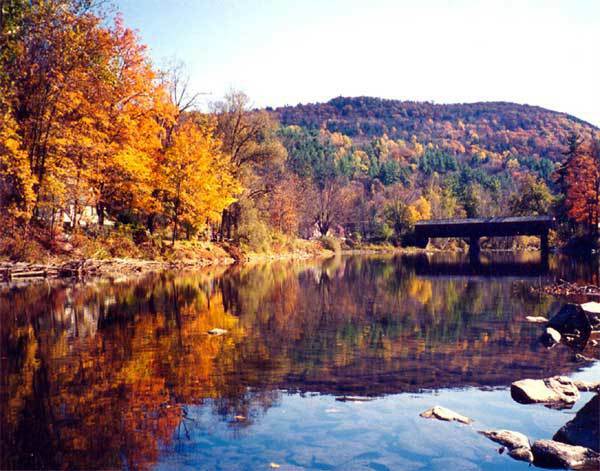 The Cornwall Bridge at the Housatonic River. Posted on 9/2/02. 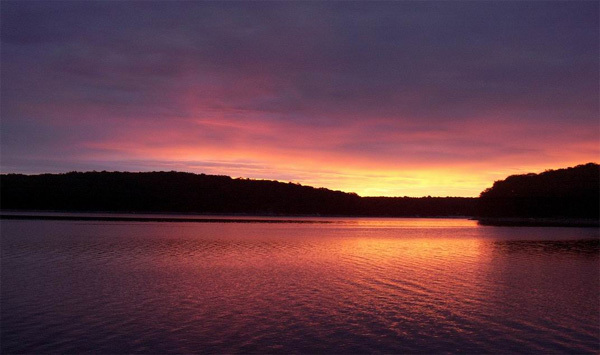 The Saugatuck Reservoir at sunrise. Sent in by Bob V. Posted 9/24/02. "Digger" sent sent in this picture of his son and friend. Posted 10/2/02. 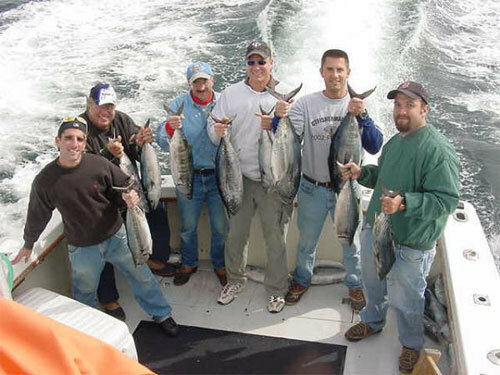 ctfisherman.com members got together for a tuna trip with Capt. Denny Dillon at the edge of "Mudhole" off of Montauk. Posted 10/9/02. "Piketoberfest 2002". 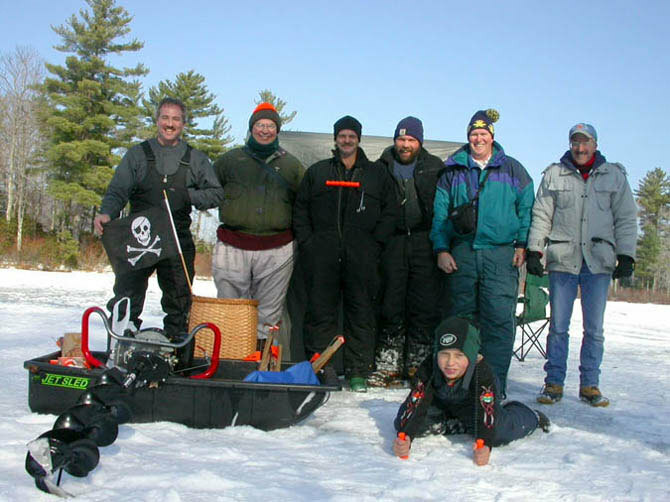 Members got together for a day of pike fishing on the CT River on 10/12/02. Posted 10/13/02. 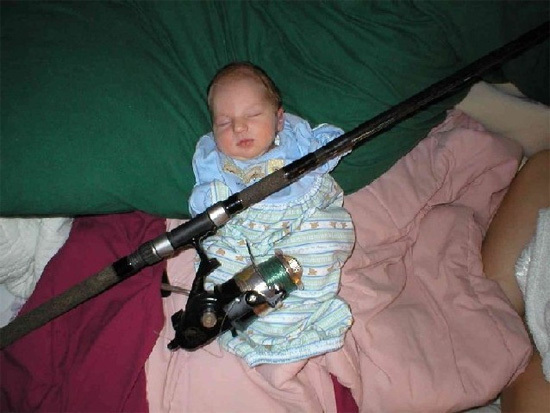 "UconnPutz" sent in this picture of his son, Benjamin Joseph Klose, born on Tuesday 10/15/02. 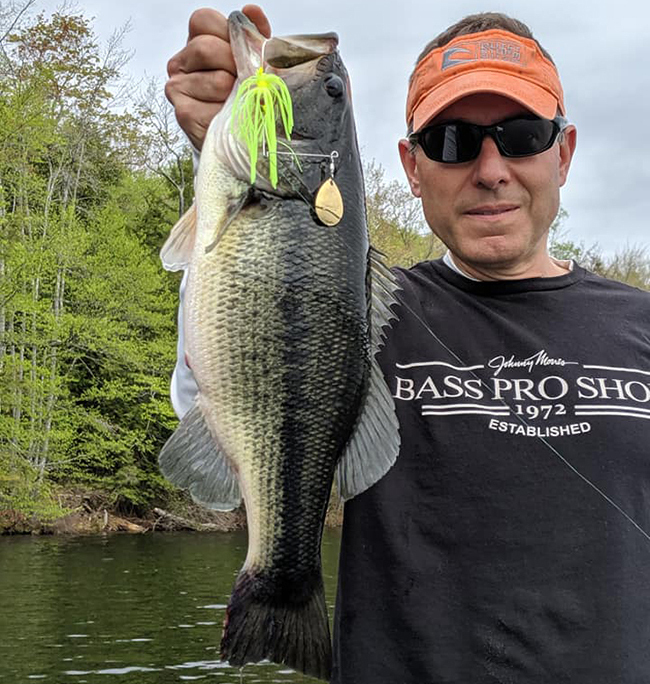 He weighed 7 lbs. 6 ozs. and was 20.5" long. Posted 10/23/02. 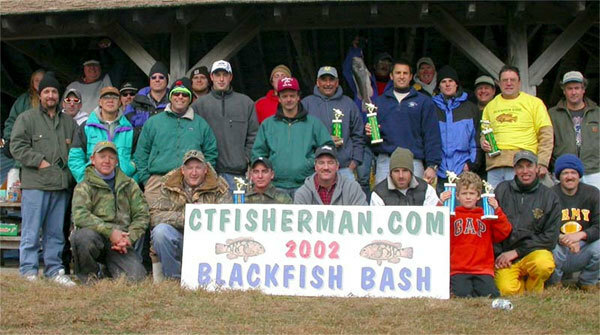 ctfisherman.com members got together for a "Blackfish Bash" on 11/2/02. Posted on 11/4/02. 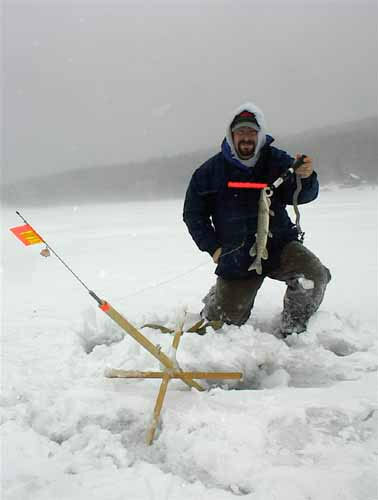 Bob D. with a pike caught on December 1, 2002 at Lake Elmore in VT.
ctfisherman.com members got together for some ice-fishing at Wood Creek Pond on Sunday, December 8. Posted 12/11/02. 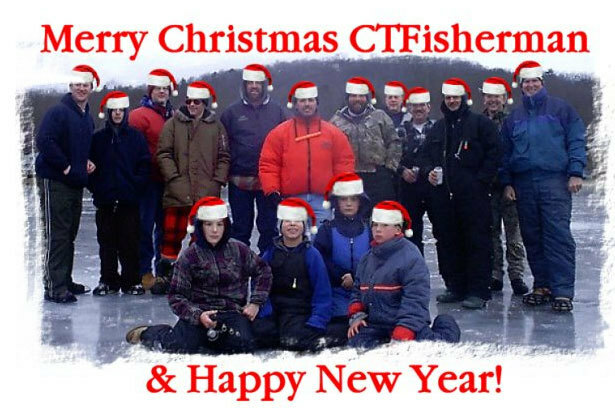 ctfisherman.com members fished Higland Lake on 12/22/02. Posted 12/25/02. 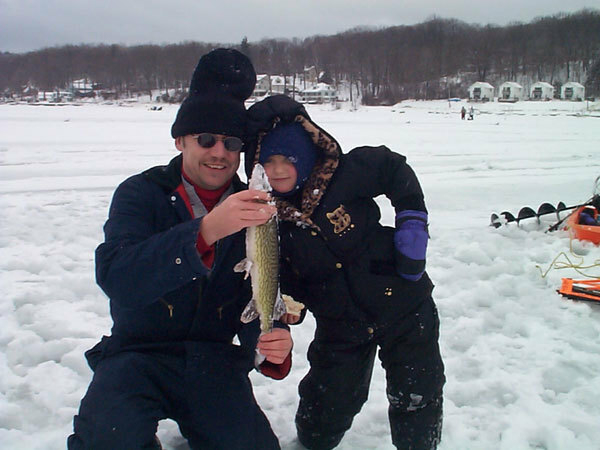 Heather and her father Marty with a nice pickerel they caught at Highland Lake on 1/4/03. Posted on 1/5/03. 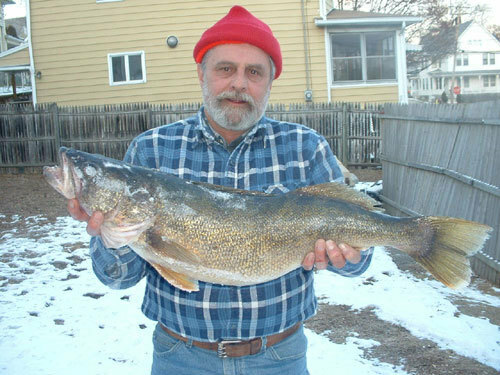 "Wrowsk" with a 13-pound, 30-inch walleye he caught at Squantz Pond on 1/20/03. 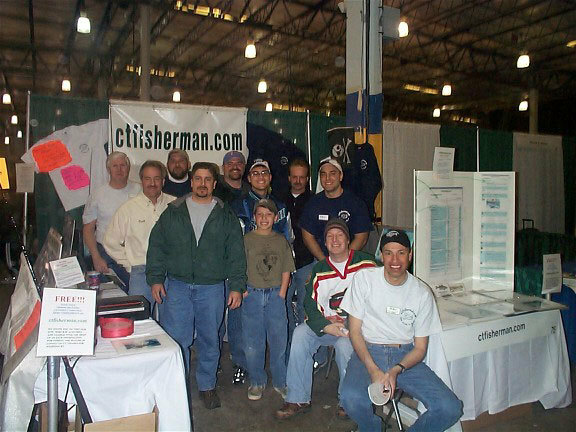 Some of the visitors at the ctfisherman booth at the 2003 Hunting & Fishing Expo in Hartford.